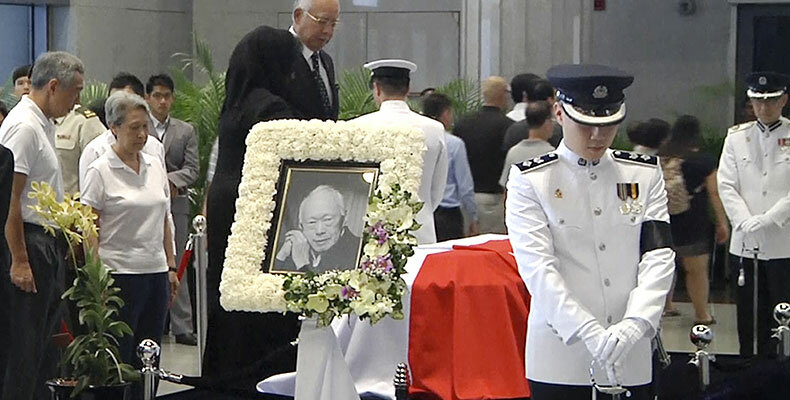 [Jakarta, LTTW] Lee Kuan Yew’s funeral is held today, on March 30, 2015. As people around the World send their condolences to Singapore on the passing of the city-state’s founding father, differing opinions have formed over how the former Prime Minister should be remembered. But there is no doubt though, that the way Lee Kuan Yew has lead Singapore has had a profound effect not only upon Singapore, but also on the politics, economics, and culture of South East Asia and beyond. Lee Kuan Yew is recognized as the founding father of modern Singapore. His national policies as Prime Minister—particularly up to the ’90s—has been marked by state-enforced repression of political dissent in Singapore’s parliament, political parties, media, and popular culture. And yet today Singapore is recognized as one of the most stable and prosperous economies in Asia, arguably more stable & prosperous than neighboring Thailand, Malaysia, and Indonesia. Some have argued that Singapore’s socio-economic progress is no different than that of her neighbors, and some have argued that political repression in Singapore has not been ‘very repressive’. And yet after all that we cannot deny that Lee Kuan Yew’s perseverance and untiring, uncompromising effort has had a hand in all that has happened in Singapore as a Nation-State.